Fabricator and distributor of metal products | Robert Mitchell Inc.
Robert Mitchell Inc. manufactures and distributes standard products for pulp and paper and railway industries. You can order parts using our "Quote Request" form. Our Canadian Standard Freeness tester is designed to give a measure of the rate at which a dilute suspension of pulp may be dewatered. The drainage rate, or freeness, has been shown to be related to the surface conditions and swelling of the pulp fibres, and is a useful index of the amount of mechanical treatment given to the pulp. Purchase of equipment and replacement parts via the "Quote Request" form. 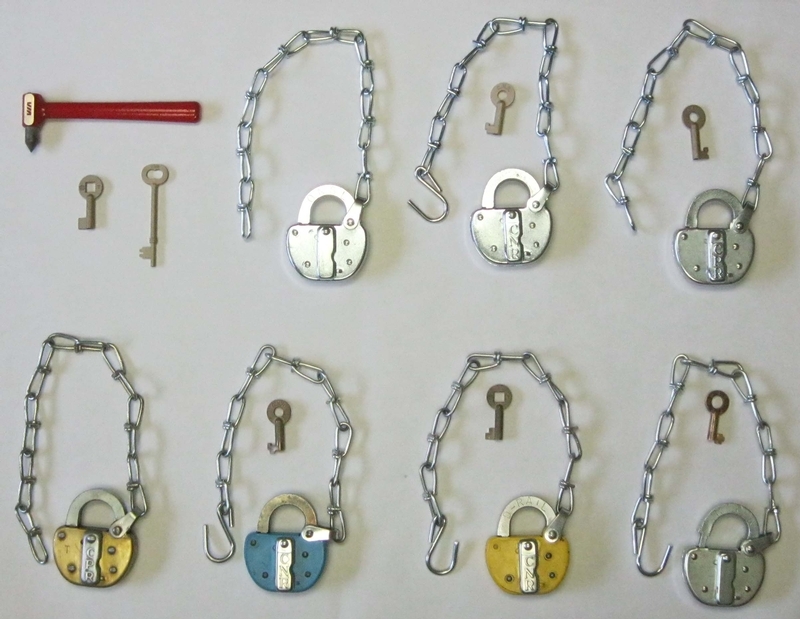 We manufacture a full range of locks and keys for the railway industry for several decades. © 2019 Robert Mitchell Inc. All rights reserved. Website design by Vortex Solution.